It’s Halloween season. 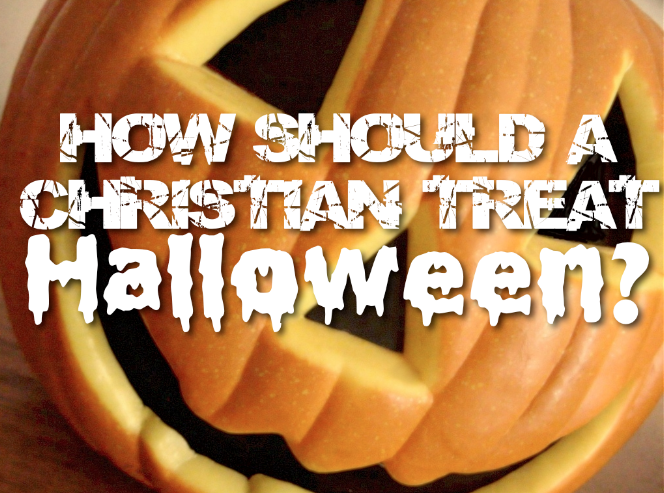 There is plenty of reasonable disagreement among Christians regarding Halloween. It is a controversial subject and I know people who get into heated debates in discussing it. There are Christians who see it as a harmless bit of creative costume-wearing and sharing candy fun, while others take it seriously and condemn at it as a celebration of darkness and everything pagan. Worse, there are a few non-Christian cults who celebrate it — a satanic holiday. You might find it interesting that some of the more fundamentalist modern-day pagans (Wiccans) also refuse to observe Halloween because for them it trivializes their beliefs! The Bible is clear and it tells us that God’s people celebrate the Light (Jesus) that shines in the darkness of the world (John 1:4). So how did it become a holiday that many Christians celebrate? History.com tells us that in the ninth century, Pope Gregory IV moved the “All Saints Day” feast from May 13 to November 1. If his purpose was to include the Celts’ Samhain festival, he certainly succeeded. In the Middle Ages, vigils were commonly held the night before high church feast days, so it was natural that one be held on the eve of All Saints Day. It came to be known as All Hallows’ Eve (hallows is Old English for saints), or as the Scots pronounced it, Hallowe’en. People, especially the young ones, were dressing up in costumes for fun. This began on Halloween in sixteenth-century Britain. They called it “guising.” For fun, they would go house-to-house singing, reciting poems, or telling jokes in exchange for “treats.” The tradition of “trick-or-treating” as we know it began as a revival of guising among Irish and Scottish immigrants in late nineteenth-century North America and was embraced by modern-day American pop culture by the end of the 1940s. I agree that there remains a connection between our trick-or-treating traditions and the old pagan Samhain superstitions. However, it is very weak. But what is not faint is people’s fear of death. That is as strong as ever. Because of their fear of Death (personified by a Wraith), the ancient Celts sought to hide from death on October 31 using all kinds of costumes and masks. Today, this practice has evolved to simple entertainment and fun for many. The truth remains. People have always been terrified of death, and for good reason, since it is the wages of our sin (Romans 3:23). And this is due to our own sinful foolishness (Romans 1:21) and satanic blinding (2 Corinthians 4:4). 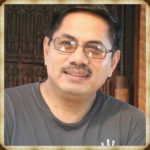 We fail to perceive and honor God. We fallen humans still have a hardwired awareness and fear of the sure reality of death. We know instinctively that there are spiritual realities, and we are deathly afraid of the dark and the evil it represents. 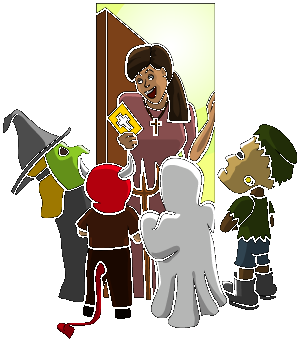 This actually makes Halloween a great opportunity for a mission event for Christians. Some Christians run away from it, thinking it is pagan. But have we considered this? 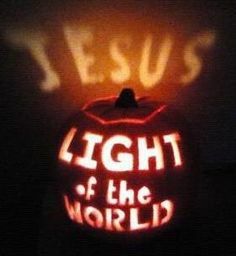 All of the historical roots of Halloween, pagan and religious, are reminders that sinners need the salvation from condemnation and the eternal life that Christ offers. He is the light that shines in this darkness in which we live, and the darkness has not overcome him (John 1:4–5)! And what effort to escape death and spiritual evil can compare to the gospel that declares that Christ came to “destroy the one who has the power of death, that is, the devil, and deliver all those who through fear of death were subject to lifelong slavery” (Hebrews 2:14–15)? That is certainly good news! Remember that all time and space belongs to God. Pagans may claim days for themselves or Satan’s but the people of the Kingdom of Light will not cower and surrender any of it to the enemy. I once had a talk with a friend who believed that November 1 or Halloween Day is Satan’s day. I responded and said that all days belong to God just as all countries belong to God. Christ sends missionaries to the dark places of this world to proclaim the gospel of light. Therefore, on this so-called day of darkness, we proclaim and celebrate Jesus, the true Light. Of course, we do this every day of the year, too. In fact, I think transforming All Hallows’ Eve from a reminder of death’s darkness to a celebration of the gospel’s light is exactly why God chose October 31 (in the year 1517) as the day for Martin Luther’s hammer to set off the chain reaction of gospel renewal and global proclamation that came to be known as the Reformation. Over the previous few centuries, Satan had been slowly choking the gospel, and therefore the church, with the toxic smoke of deception and false teaching. However, the church not only deeply breathed gospel oxygen again, but also multiplied and spread this good news throughout the world at an unprecedented rate. It can also become a day of profound thanksgiving for Christians, a day to “remember your leaders, those who spoke to you the word of God” and to “consider the outcome of their way of life, and imitate their faith” (Hebrews 13:7). October 31 is not just a day for nighttime candy-collecting guising fun for children. It is a day for us to tell them the amazing gospel of the Light and grace to the world and to help them see that Jesus Christ is our Savior and Lord, and that Jesus is victorious and has totally defeated the enemy. What the scriptures reveal is amazing. “The people who walked in darkness have seen a great light” (Isaiah 9:2), the “light of the world” (John 9:5), and those who follow him “will not walk in darkness, but will have the light of life” (John 8:12). Those who trust in Jesus no longer need to fear death or demons.